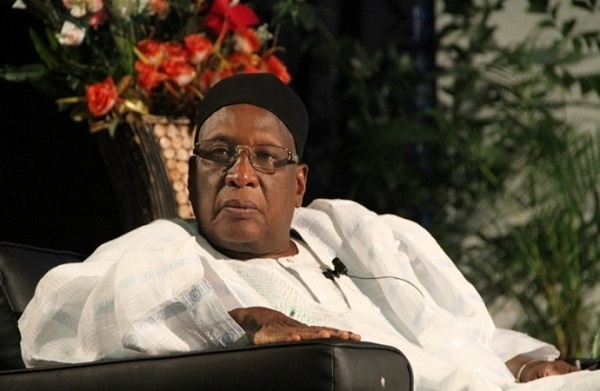 A former National Chairman of the Peoples Democratic Party, Bamanga Tukur, has declared his support for Bode George’s bid to lead the former ruling party. The chairmanship bid by former Vice Chairman of the People's Democratic Party, Bode George, has got a massive boost. Former Chairman of the party, Bamanga Tukur, the Chairman, PDP Board of Trustee, Senator Walid Jibrin; a former governor of Enugu State, Okwesilieze Nwodo; and a former Deputy National Chairman, PDP, Chief Shuaibu Oyedokun, have all thrown their weight behind Bode George. Tukur, while playing host to George in his Abuja residence at the weekend, described George as a man of strong principle and the kind needed to right the wrongs in the party and restore it to its former glory. The statement quoted Tukur as lamenting that the PDP had, over the years, derailed from its good foundation but expressed the hope that with a man like George in the saddle, there was hope for the PDP to resurrect. Nwodo, according to a statement, described George as an encyclopedia and an engine room of the PDP, saying it would take a fearless man like him to rebuild the party. The statement said, “Nwodo also observed that George had been consistently a strong mediator, a father figure who was not given to extreme views.